Sleeping Giants seems to have found the magic key that makes boycotts work. Last week the anti-hate organization announced that more than 1,500 companies have blocked their ads from appearing on Breitbart, a purported news organization that has billed itself as a "platform" for the Alt-right. 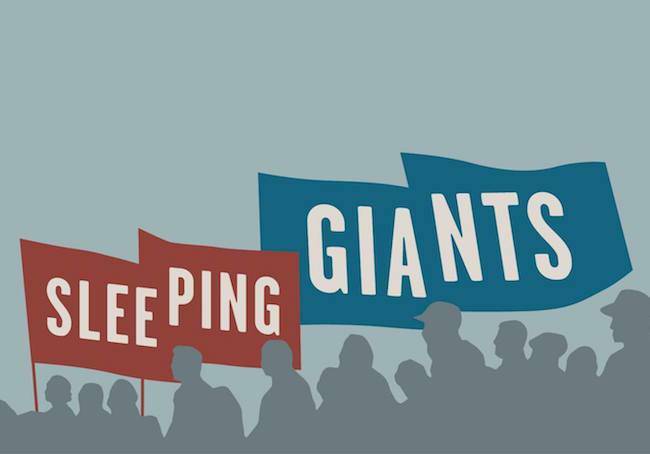 Sleeping Giants also supports action against Google and its YouTube video service for failing to police hate speech and other offensive content. In the latest bad news for YouTube, Ad Age reports that Verizon and Johnson & Johnson joined a growing list of brands that have suspended advertising on the site. Boycotts are notoriously fickle and difficult to engineer successfully. The key that Sleeping Giants uncovered is similar to the methodology employed by #GrabYourWallet. 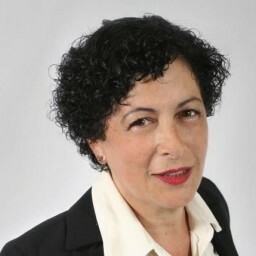 The focus on high-profile companies ensures the boycott effort is regularly in the public spotlight, at least in business media, trade publications and social media. "The Johnson & Johnson Family of Consumer Companies takes this matter very seriously, and we have made the decision to pause all YouTube digital advertising globally to ensure our product advertising does not appear on channels that promote offensive content. ... We will continue to take every measure to ensure our brand advertising is consistent with our brand values." "The decision by major U.S. brands to yank ads, first reported by the Times in the United Kingdom, suggests that an advertiser boycott that began overseas is quickly spreading," USA Today reported last week. More than 250 organizations -- including the British government, Toyota and McDonald's -- have stopped advertising on YouTube in the U.K., the Times reported. The blowback grew so hot that Google was forced to respond. In a recent blog post Google's chief business officer, Philip Schindler, reassured advertisers that the company had already begun "ramping up changes" in its ad policies, enforcement systems, and provisions for advertisers to gain more control. In short, the media attention forces companies defend their corporate social responsibility profiles, and practically the only way they can do that is to join the boycott. And if they're smart, they'll take action before the spotlight turns on them. Google's action may be too little, too late. The boycott appears to be having a ripple effect on Alphabet, Google's parent company. Check out this alarming headline that appeared on CNBC.com on March 20: "Google stock is downgraded as advertisers start to worry about where their ads are appearing." "Pivotal Research Group downgraded Alphabet stock from buy to hold on Monday after media buying agency Havas pulled spending from YouTube and Google Display Network in the U.K. last week." Behavior change is the aim of most boycotts, and in that regard the Google/YouTube action is doing quite well. Auric Goldfinger: "No, Mr. Bond, I expect you to die!" The ultimate aim of the Sleeping Giants campaign is to put Breitbart out of business, as the potential to force behavior change is extremely low if not impossible. Corporate social responsibility is an effective lever only against companies that are part of the CSR movement. With 1,500 advertisers down and still counting, Breitbart must be feeling at least some effect of the Sleeping Giants campaign. In a report last week, though, Reuters cautioned that advertisers still need to keep their guard up, even after they have taken steps to suspend their ads from Breitbart or other sites. "Ads from album creation site Mixbook and online invitation company Paperless Post could still be seen on Breitbart's website as recently as last week, according to a review by Reuters, even after they each blocked the site last fall," reported Jessica Toonkel of Reuters. "... Both Mixbook and New York-based marketing technology company Magnetic, on behalf of a client, said they had discovered ads showing up on Breitbart, which they had blacklisted, through Web addresses owned by Disqus, the company that powers Breitbart's comment section." Disqus Chief Executive Daniel Ha told Reuters that its relationship with Breitbart allowed for it to sell ads on the site. Once advertisers began complaining, Disqus terminated the practice. No matter how many companies desert Breitbart, it's possible that the site will continue publishing offensive content as long as it likes. That's partly because one of Breitbart's owners is the Mercer family, which put millions into the effort to elect Donald Trump. If the family is willing to make up for the loss of ad revenue out of their own pockets, Breitbart could stay alive -- boycott or no boycott. Perhaps the next target for boycott will be Renaissance Technologies, the investment management company run by Robert Mercer.